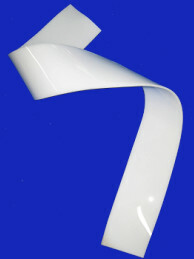 Plastic bending can be accomplished using several techniques. 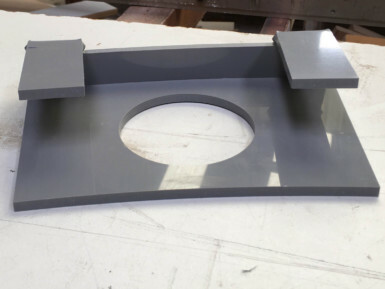 Line bending is an efficient process for creating one or more tight radius bends in most formable sheet plastics. Our heat bending facilities are up to 2000mm long. Production can be from drawings, or a design brief and we will take it from there, advising on construction and materials to be used. Most applications for line bending are based on single or double parallel bends which create rectangular covers and equipment housings. However, some fairly complex forms can be manufactured using this technique.